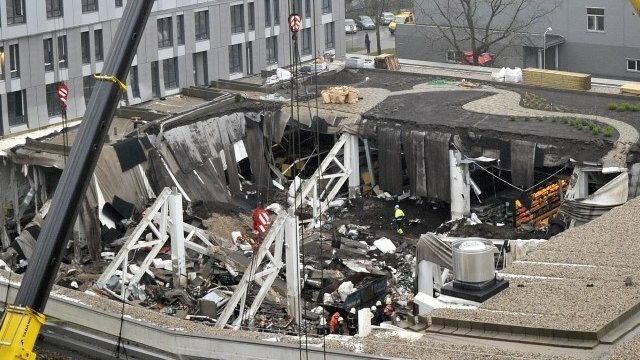 Riga collapse was 'mass murder' Jump to media player Rescue teams in Latvia have spent a second night sifting through the rubble of a supermarket that collapsed, killing dozens of people. 'Piles of cobblestones on roof' Jump to media player Riga resident Gatis Smagars describes seeing "huge plastic bags of soil" and "piles of cobblestones" on the roof of a supermarket that collapsed. 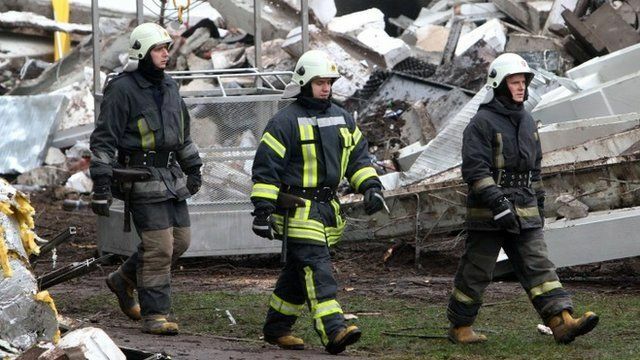 Mobile phones used to locate bodies Jump to media player Rescuers have been calling for silence at the scene of a collapsed supermarket in the Latvian capital Riga as they try to locate victims by calling their mobile phones. 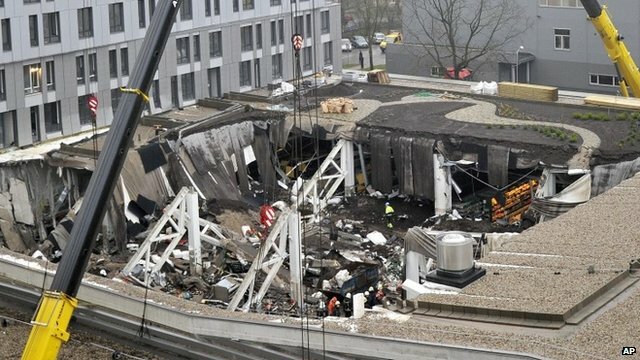 Race to find Latvia store survivors Jump to media player At least 51 people have died and more are feared missing after the roof of a supermarket in the Latvian capital Riga collapsed. 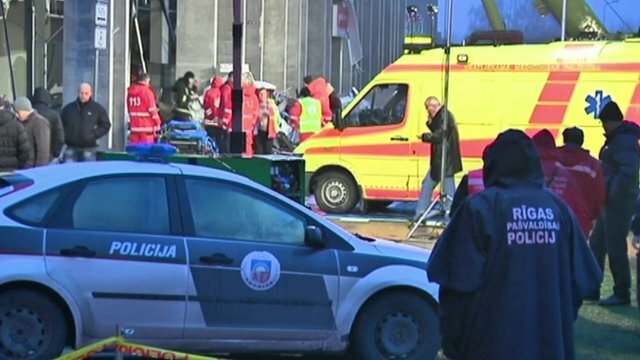 The collapse of a supermarket in the Latvian capital Riga has been described as "murder", by the country's president. Andris Berzins said many defenceless people had been killed and that should be the basis for an investigation into the disaster. The current death toll is 52 but some 10 families have told police they have missing relatives.